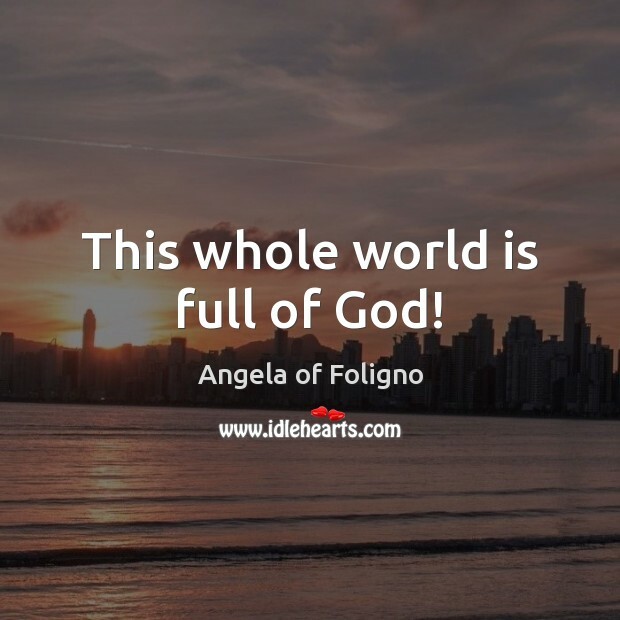 Enjoy the best inspirational, motivational, positive, funny and famous quotes by Angela of Foligno. Use words and picture quotations to push forward and inspire you keep going in life! 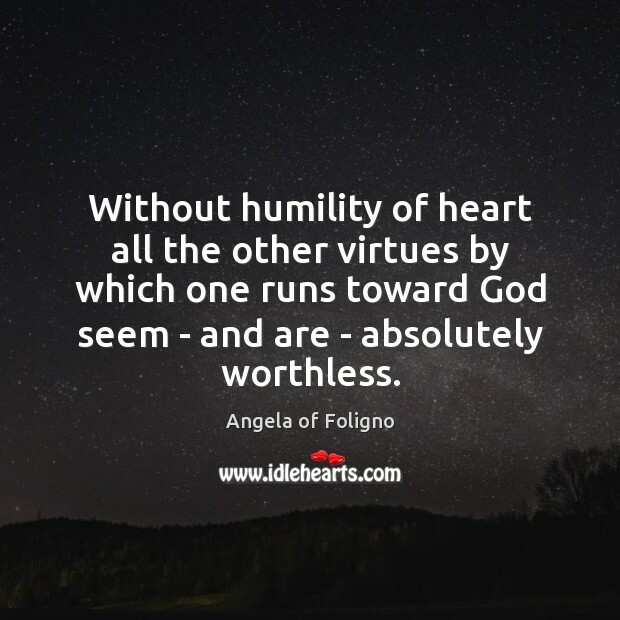 Without humility of heart all the other virtues by which one runs toward God seem - and are - absolutely worthless. 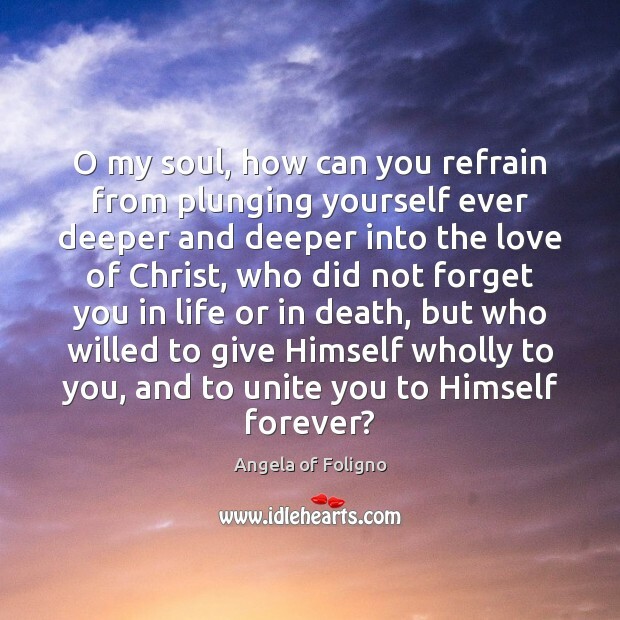 O my soul, how can you refrain from plunging yourself ever deeper and deeper into the love of Christ, who did not forget you in life or in death, but who willed to give Himself wholly to you, and to unite you to Himself forever? This whole world is full of God! 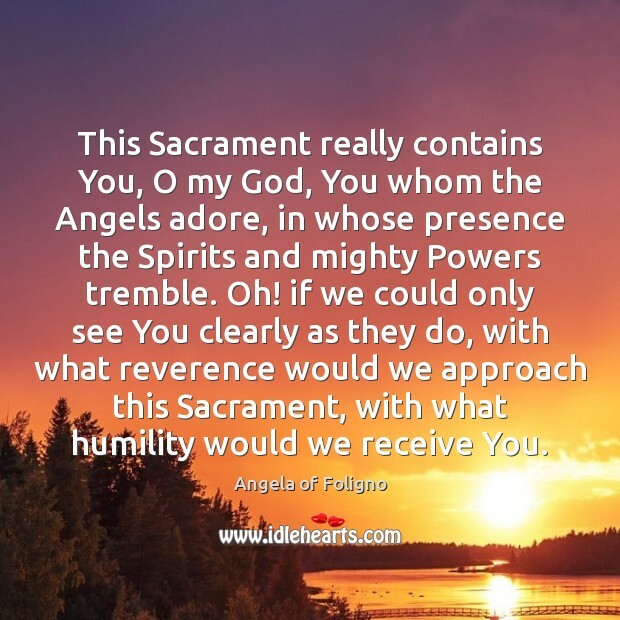 This Sacrament really contains You, O my God, You whom the Angels adore, in whose presence the Spirits and mighty Powers tremble. Oh! if we could only see You clearly as they do, with what reverence would we approach this Sacrament, with what humility would we receive You. No one can be saved without divine light. Divine light causes us to begin and to make progress, and it leads us to the summit of perfection. Therefore if you want to begin and to receive this divine light, pray. If you have begun to make progress and want this light to be intensified within you, pray. 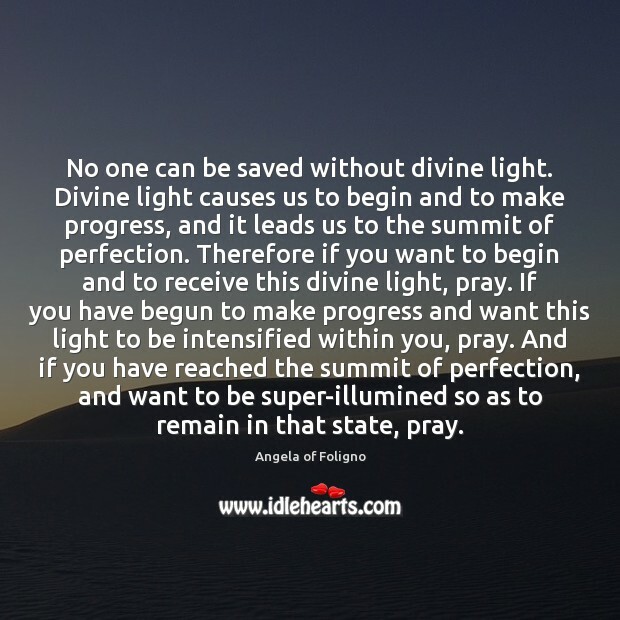 And if you have reached the summit of perfection, and want to be super-illumined so as to remain in that state, pray. 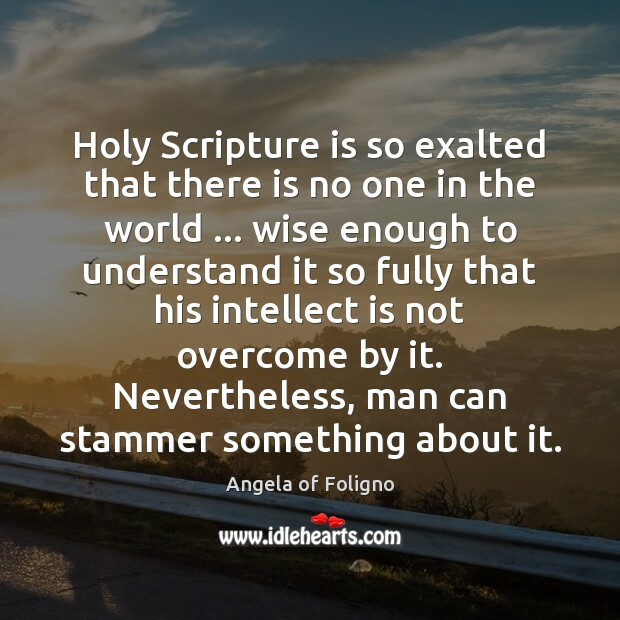 Holy Scripture is so exalted that there is no one in the world ... wise enough to understand it so fully that his intellect is not overcome by it. Nevertheless, man can stammer something about it. ... God cometh sometimes unto the soul when it hath neither called, nor prayed unto, nor summoned Him. And He doth instil into the soul a fire and a love and a sweetness not customary, wherein it doth greatly delight and rejoice ... 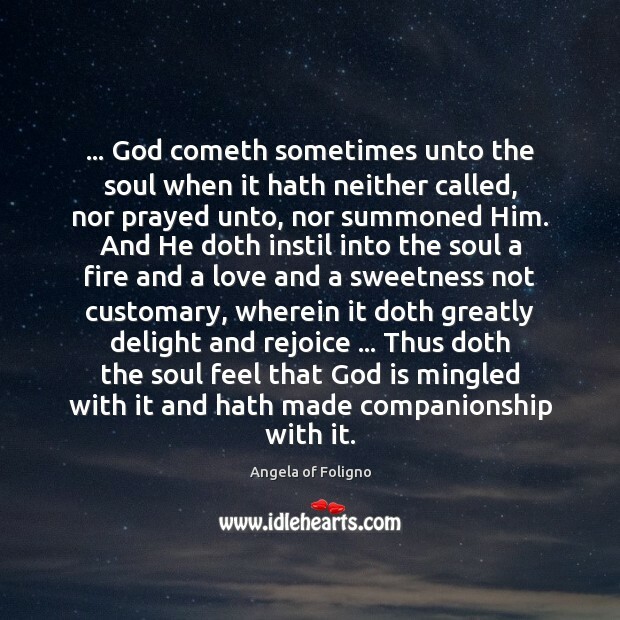 Thus doth the soul feel that God is mingled with it and hath made companionship with it. 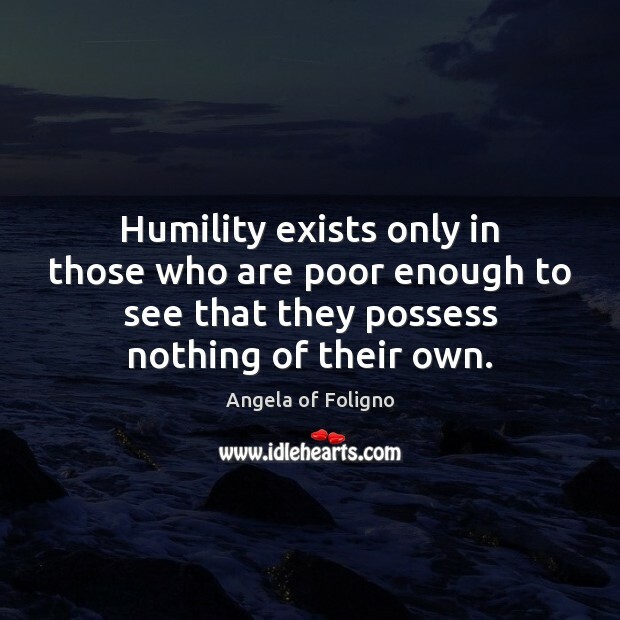 Humility exists only in those who are poor enough to see that they possess nothing of their own. 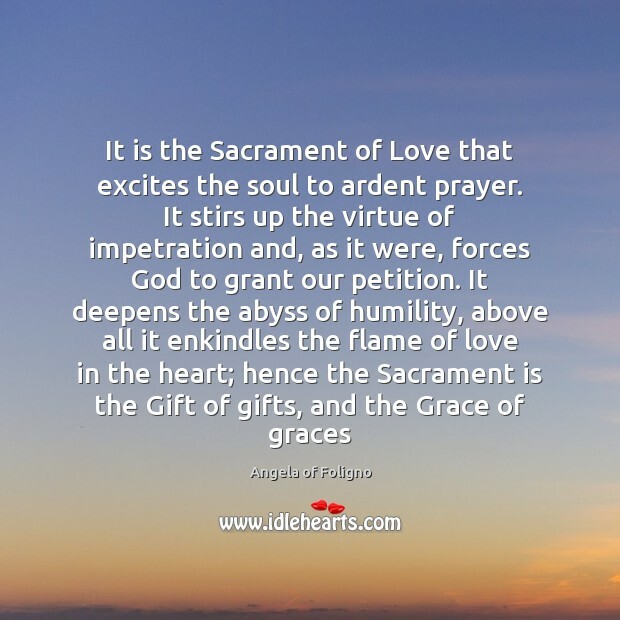 There is neither father, nor mother, nor son, nor any other person whatsoever who can embrace the object beloved with so great a love as that wherewith God embraceth the soul. 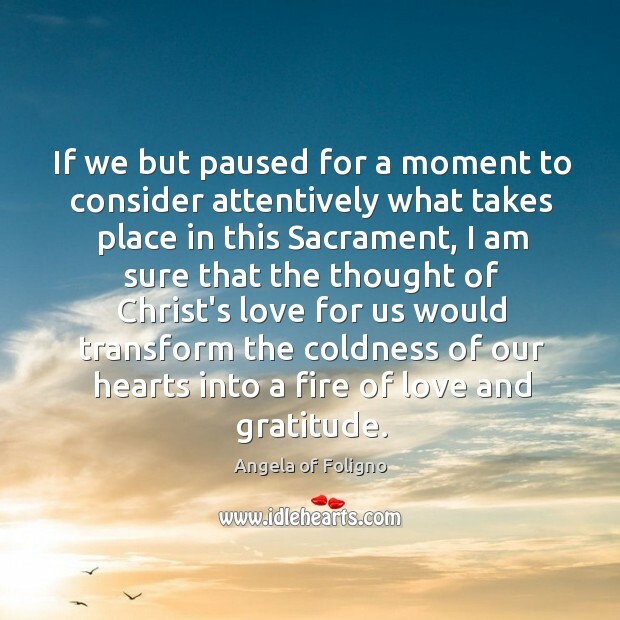 If we but paused for a moment to consider attentively what takes place in this Sacrament, I am sure that the thought of Christ's love for us would transform the coldness of our hearts into a fire of love and gratitude.